Geriatrics Chief: Gosh. Thanks for inviting me. I would love to tell them about all the great work we are doing! We have some really innovative clinical programs to help seniors who are becoming disabled. We also have a new initiative to help stressed out caregivers. I bet your donors will be really excited to hear bout a new program we are developing to help caregivers of our patients with Alzheimers Disease. And we have some really great research too. We are learning about how it is possible for older people to maintain a great quality of life, even when they have major physical or cognitive problems. University Leader: Oh no no no! Please don't talk about that. Our donors don't want to hear about all the problems with aging. They want to hear about how they can avoid all that stuff. Can you talk instead about how to l live a long life and avoid all the diseases of aging? I have heard similar stories over the years, and each time my immediate reaction is .... well lets just say probably unconstructive. These are of course tough things to talk about. But when we avoid talking about the problems of aging, we devalue and disrespect our patients who are dealing with these problems. The societal unwillingness to confront the problems of aging is major contributor to a health system that utterly fails to address the needs of vulnerable elders, subjecting them to an overly medicalized approach that often does more harm than good, while failing to provide social and palliative solutions that would help and cost less. What is the right response to the "don't talk about aging" request? age old story..."Everybody wants to go to Heaven but nobody wants to die"
I believe those if us who are "aging experts" have a special responsibility to open ourselves to the adventure of our own aging and to talk about how to use wisdom skills. We can inventory where we are and identify our strengths as nobody else can. We can fight ageism by acknowledging that we already know about "aging as problem". Our job is to find life and appreciation for life in the midst of inevitable physical decline. The "ah ha" moments where we stop trying to rehearse for or prepare for life and simply live it with the body that will be outgrown by spirit and if we are fortunate, will be missed as the house for our spirit when we are not living here anymore. Talk about life as a person interested in aging or who is determined not to be afraid but rather to be present to life when the relationship with time and God and self change because of age in ways not possible at younger times of life. I believe those of us who are "aging experts" have a special responsibility to open ourselves to the adventure of our own aging and to talk about how to use wisdom skills. We can inventory where we are and identify our strengths as nobody else can. We can fight ageism by acknowledging that we already know about "aging as problem". Our job is to find life and appreciation for life in the midst of inevitable physical decline. The "ah ha" moments where we stop trying to rehearse for or prepare for life and simply live it with the body that will be outgrown by spirit and if we are fortunate, will be missed as the house for our spirit when we are not living here anymore. Talk about life as a person interested in aging or who is determined not to be afraid but rather to be present to life when the relationship with time and God and self change because of age in ways not possible at younger times of life. Let me add what I hope is another, helpful perspective to this discussion. As the director of the Hartford Center of Gerontological Nursing Excellence at Oregon Health and Science University, we, in collaboration with many others committed to care of older adults (including Elizabeth Eckstrom, our chief of Geriatrics) have been working on moving our center to an interprofessional collaborative which considers the needs of our community and our largely rural state. 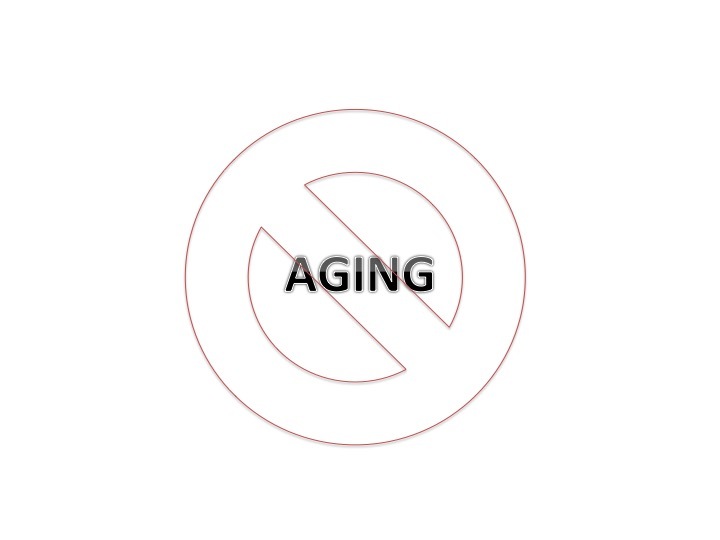 We have landed on calling ourselves the "Aging Well" Collaborative rather than a "Healthy Aging" because healthy aging implies that, as an exaggeration of course, that everyone can climb Mount Everest at 90 with no supplemental oxygen and that we can live forever. We recently hosted a visiting scholar from Penn (Sarah Kagan) who really pushed our thinking in a very good way. So what does it mean to age well? Being prepared for what may come, including a real advance care plan; That we in healthcare are the most ageist of anyone and that fear of mortality is borne out of ageism; that being "age friendly" is the best way to combat ageism. Perhaps this would be a way to approach this with donors. I must say, our University leadership and donors love this approach. Hang in there. The "best" response is to probably negotiate a gentle compromise pushing as far as you think the suits can go. The focus on living well might be the compromise. Better to have a seat at the table than not be there at all. I think we in geriatrics have a tendency towards indignation - I feel I have to fight the urge to argue constantly. A large part of my early career salary was from a donor who had had significant difficulties with the health system so they're out there. Obligatory cancer analogy: I don't want to get cancer either, but I'd love to hear about innovative new treatments just in case. Yet while many of us will avoid serious cancers, few avoid aging.